I’m so proud!! I’m totally having a teacher moment right now. Back in September, I connected with a returned Peace Corps Volunteer from Mozambique who had just moved to Ulaanbaatar. We met for dinner and drinks to talk about international school teaching, but also spent good chunk of the time comparing and contrasting our experiences. She came out to visit me a few months later and I showed her my little town, my school, my classes. Over dinner one night with my site mates, she taught us this very simple but catchy song that one of her fellow Volunteers had written. My favorite part about the song is how it's traveled across the world from Mozambique to Mongolia through Peace Corps Volunteers. It attests to how global our work is and also how strong the Peace Corps network is around the world. So thank you to Sarah Hanson (RPCV Mozambique 2013-15) for inventing this little gem of a song, and thank you Sam Kruger (RPCV Mozambique 2013-15) for bringing it all the way to Mongolia! Jenni Myung is a secondary education English teacher in Mongolia. 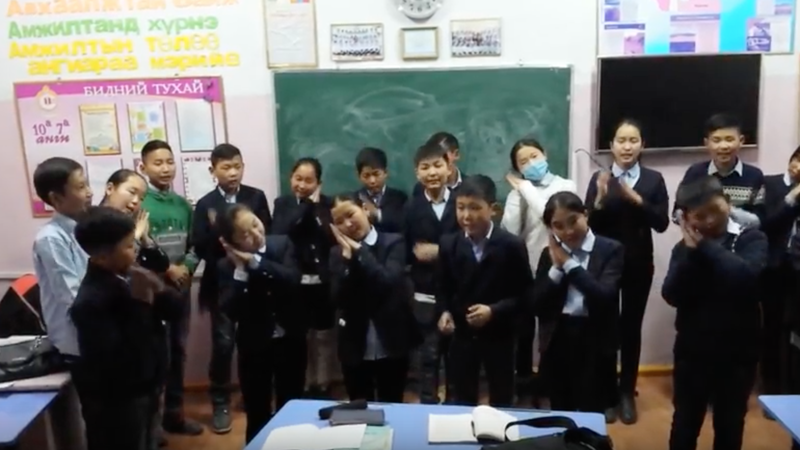 In addition to teaching, she leads seminars on methodology and curriculum development for Mongolian English teachers and does community work and event planning for her provincial town of 40,000 people. She is a 2016 Blog It Home winner, AmeriCorps VISTA alum and a graduate of Emory University.